My first thought when I saw the ingredient of this whipped body butter was tallow??? What is that? Beef fat? No way, I am putting that on my face… little did I know that I would make it, love it, and even be blogging about it because the world should know about the amazingness of using tallow on your skin. Why would I slather my body with beef fat, you ask? First and foremost, because I don’t like to put anything on my skin that I wouldn’t eat. After all, 60% of what we put on our skin is absorbed into the bloodstream. Pasture raised beef fat is nourishing to eat and nourishing to the skin. Next, tallow is compatible with the molecular structure of our skin cells. It is 50-55% saturated fat, the same percentage that makes up our cell membranes. Additionally, tallow is very similar to the protective sebum naturally produced by our skin. In my experience, tallow does not clog my pores. Finally, tallow is a time-honored skincare ingredient. And while I am sure that animal fats have been used as protective skin balms since the beginning of humanity, I don’t think we have proof of that. We do, however, have records that show tallow was a main ingredients in skin balms during the 1800′s (here are some examples). Is that enough info for you…. another reason that I LOVE my tallow body butter (which I use as my face moisturizer at night) is that it feels so luxurious on my skin. I have the occasional pimple prone skin and this actually helps control those ‘pips’ as my dad used to call them. 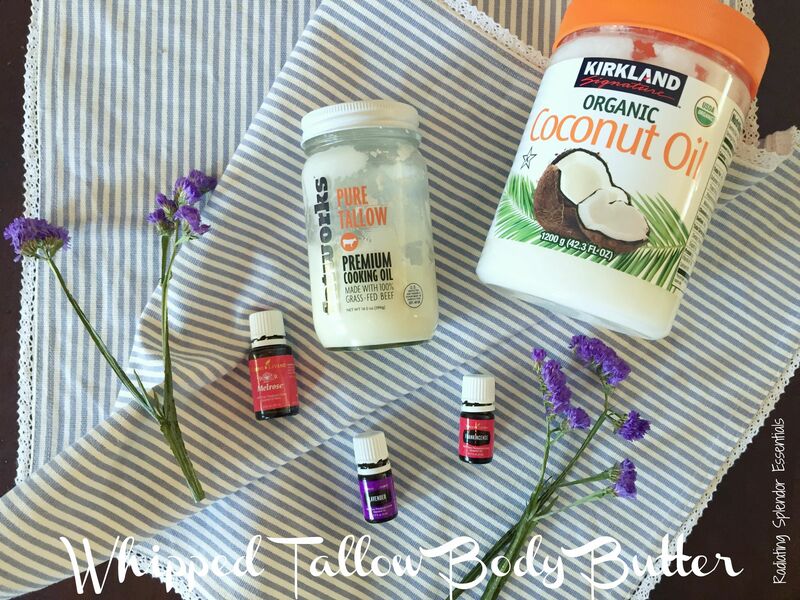 You can also make this as a cream for anywhere and my girl, Claire, adds her husband’s shutran to this cream to help support the manly endocrine system. I make this recipe and then I divide it for how I need it. Usually I make half of it for my face cream and keep the other half in the fridge until I need it. In a double boiler, slowly melt tallow and coconut oil together. Transfer to fridge and let cool for a few hours, or cool for 45 minutes in the freezer (you want it nearly solid again). Begin to whip your mixture in a stand mixer on high until completely smooth and light. Add essential oils, mix on high thoroughly. Transfer to a large glass cosmetic jar. Thank you to my friend Claire for first introducing me to this body butter. You are a rockstar!